Keynote speaker Chris Skinner is a well respected expert on financial issues. He has written several books covering issues such as European Banking regulation, the credit crisis and the future of banking. He has been a consultant for numerous publications and television media. Today, he delivers knowledgeable keynotes on banking, crises and the future of financial institutions. 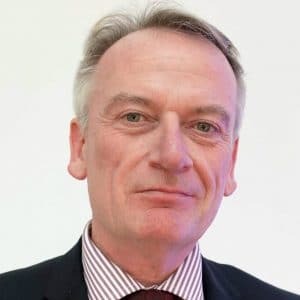 Keynote speaker Chris Skinner is best known as an independent commentator on the financial markets through the Finanser and Chair of the European networking forum the Financial Services Club, which he founded in 2004. The Financial Services Club is a network for financial professionals. It focuses on the future of financial services through the delivery of research, analysis, commentary and debate and conducts regular meetings in London, Dublin, Edinburgh, and Vienna. Chris is also the author of several books which cover everything from European regulations in banking through the credit crisis to the future of banking. Chris Skinner is the Chief Executive of Balatro Ltd, a research company. 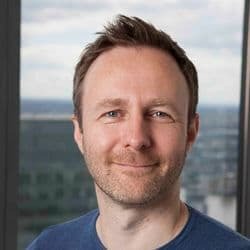 In addition, he is a co-founder of the website Shaping Tomorrow, and a regular commentator on Sky News , BBC News, and Bloomberg concerning banking issues. Chris is the author of ten books, with a recent series of seven published by Searching Finance and covering everything from the credit crisis through payments to social media in finance. He serves as a Judge on many awards programs including the Card Awards and the Asian Banker’s Retail Excellence Awards. 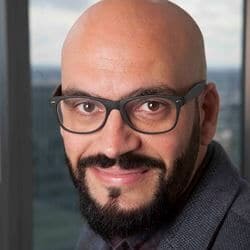 In addition, he has worked closely with leading banks such as the Royal Bank of Scotland, Citibank, HSBC, and Société Générale and the World Economic Forum. Chris Skinner is a regular keynote speaker at leading industry forums. Through these keynotes, he has presented alongside many other leading world figures including Gary Hamel, Richard Branson, Lou Gerstner, Meg Whitman, Michael Porter, and Bill Gates. 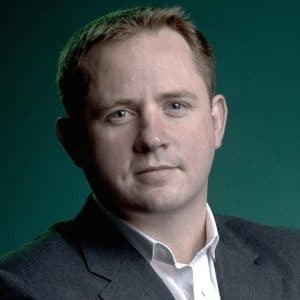 Prior to founding Balatro, Chris was Vice President of Marketing and Strategy for Unisys Global Financial Services and he was the Strategy Director with NCR Financial Services. These roles helped spark Chris’ specialization in the future of financial services after he created the Global Future Forum in Unisys and the Knowledge Lab in NCR. 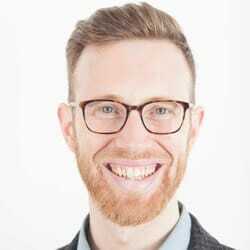 Our speaker Chris Skinner studied at Loughborough University in the UK, and holds a Bachelor of Science in Management Sciences alongside a Diploma in Industrial Studies. He is a Fellow of the British Computer Society, a Fellow of the Institute of Management Services, an Associate of the Chartered Insurance Institute and a Chartered Insurance Practitioner. Branchless Banking and a Cashless Society: fact or fiction? For years, banks and industry pundits have bet that cash and bank branches will disappear, yet they are still as strong as ever. Sure, cash and branches are reducing in number, but cash in circulation is still increasing as are the number of bank branches in some countries. So is a branchless, cashless future a reality or a myth? Over the next decade, a radical shift will take place in the role and function of banking. It’s already started and it’s all about BIG DATA. But it’s more than that. It’s to do with the value shift in society from seeing money to seeing virtual money; from seeing technology to seeing social technology; and from seeing government to seeing self-governance. These shifts have been seeded in smartphones, social networks and the global linkage of every person on the planet to wireless media, and this shift will accelerate over the next decade. What this means for banks is that they will become hybrid keepers of money and data, and anything else their customers believe to be of value. They might even be keepers of cloud secure Facebook photo albums … why not? To see the impact of the key political, economic, social and technological forces of the next decade, speaker Chris Skinner will bring together these themes and outline the vision for the bank of 2021. In previous ages bankers have sometimes pecked lower in the order of society than lepers. Jesus declared their usurious ways immoral. Amazingly, from this disadvantaged position in society, bankers flourished over the past two centuries before imploding spectacularly both financially and socially in 2008. Bankers now don’t even trust each other. This illuminating review of the history and future of banking and society explores why these former outcasts from high society are natural problem children and ponders whether they have a social future and, if so, what will it look like? Since PayPal began, we have seen money being digitized. Now mobile is booming, the whole mechanism of money and customer interaction is being revolutionized. Add to this Facebook credits and other virtual currencies, and you soon realize it’s not about money but it’s about value. Value management in all its forms – money, knowledge, ideas, time, goods, services, trade – is the critical focus for tomorrow’s institutions. And, as value becomes exchanged in all forms of virtual and physical form, money becomes meaningless. What does it mean for you? Banks are like landmines that explode in economic terms, in a similar way in which landmines explode and blow away people in the real world. Just as landmines blow the legs away from humans, banks blow the legs off economies. It’s obviously the case that this is true today, what with the Lehmans collapse with Credit Default Swaps creating the first financial crisis; and now sovereign debt in the Eurozone is developing the second. How can such economic landmines exist in a world where we should have cleared them by now, and how can we avoid them in the future? Mr. Skinner is often asked to make specific commentary about a market area or company, which involves researching the markets to gain specific insights into that market area or company. These bespoke presentations involve considerably more effort than general presentations. The fees for these presentations are determined on a client-by-client basis, and are quoted based upon the complexity of the subject and the length of the presentation required. Please provide a detailed definition of your presentation requirement if you would like us to provide quotation for Mr. Skinner’s involvement. Chris Skinner is often requested to chair a conference and, on these occasions, the same fee rates apply as for ‘General Presentations’. and many other related services. A typical engagement for example, may be to provide an in-depth market analysis for a firm’s new product launch, including targeted markets and geographies, competitor overviews, SWOT analysis, recommended marketing budgets and resources, sales campaign life cycles and so on. Chris Skinner is known to be an exceptional speaker which is why he is regularly requested to keynote at many of the financial market’s most prestigious events. He also regularly opens as keynote at many private industry events. His keynote addresses focus upon the key current trends and future scenarios for all areas of financial services, across retail and investment markets and payments.